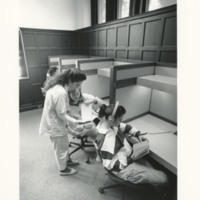 Interior view of a biological laboratory at the time of Das Wilson and Lee in Taylor Hall. 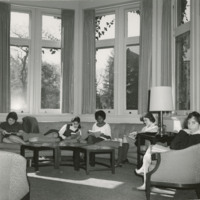 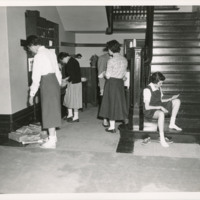 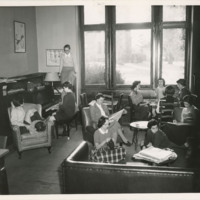 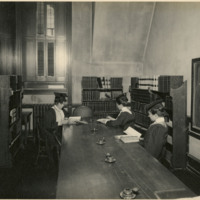 Several students sit in chairs in the room, reading, writing or working with scientific equipment. 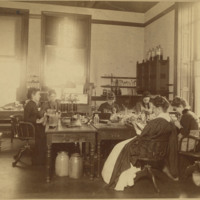 One looks through what looks like a microscope.